These simple cookies, made of graham crackers put together with buttercream frosting, were a staple when I was growing up. They're so easy to make and the perfect treat when you don't want to bake and there's nothing sweet in the house. They can be made with vanilla frosting or peanut butter frosting. In a medium bowl, beat butter with one cup powdered sugar until light and fluffy. Gradually add remaining powdered sugar alternately with the cream until frosting is fluffy and desired consistency. If you're using peanut butter, add it now. Or divide the frosting in half and make half peanut butter and half vanilla. 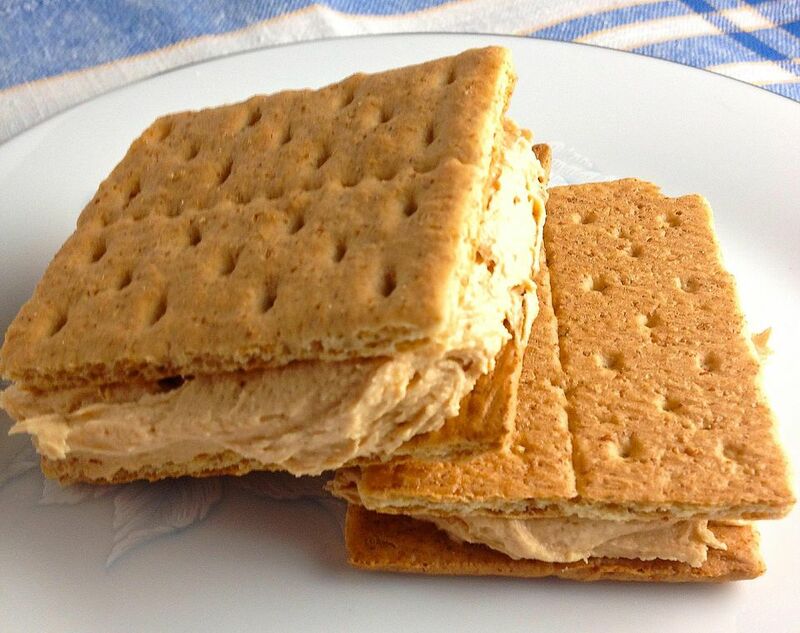 Spread a generous portion of the frosting on one graham cracker, top with another, and squeeze gently. Eat immediately or cover and let stand a few hours. The graham crackers will get softer as they absorb moisture from the frosting. I personally love that, but if you don't, eat them immediately.